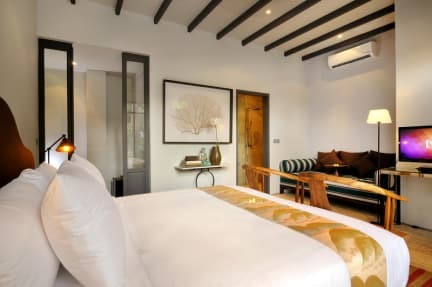 For groups of 2-3 who find villas too overpriced, Room & Vespa 1 is a lovely alternative - it's as amazing as any villa, just more suitable for a smaller budget. We absolutely loved this place! It was so clean and comfortable away from the busy streets like an oasis of calm! The pool area was beautiful too surrounded with trees and plants to make you feel like you were in rural Bali! Staff were very friendly we will definitely book there again! Great location! Close to plenty of restaurants, cafes and clubs but off the main street so it is quiet enough and the beach is only a short 10 minuet walk away. Staff were very friendly and accomadating, and the room and courtyard were kept very clean. Beautiful and comftable interior. I had a blast at Room and Vespa. This was the last place we stayed in Bali. It is right next to a very relaxing beach, and a few renowned spas. The staff was very helpful, they even send post cards for me when I couldn't locate the post office. They called all of the cabs that we needed, and helped us get a good price. Great little property at an amazing price! Absolutely loved staying here. 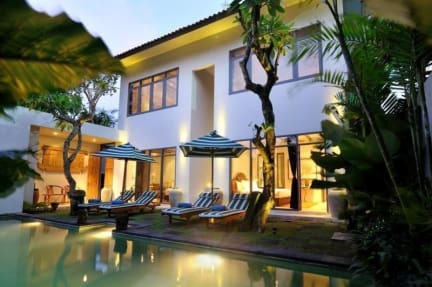 It's situated right around the corner from Seminyak Square, 2 minutes walking distance from all of the shops and restaurants and a short 10 minute walk to the beach! Would definitely recommend. This place is great value for money. I never expected how commercial Bali is already so it makes sense prices like this exist for this type of accommodations. Cleanliness can be improved. Room size is great. My main problem with this place is the light coming into the room. From the main door to the token curtains that didn’t block out light: Wish they thought of guests wanting to sleep in. Staff was okay, ketut at the end helped with the taxi! Book this place if you are couple.